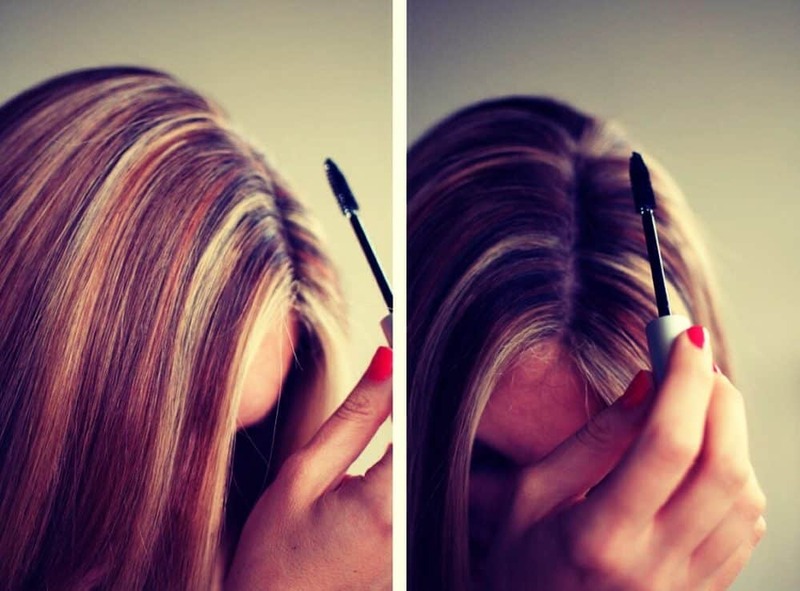 Without further ado, here are 7 hair tips to test it as quickly as possible! No need to have a round brush, hair dryer or curling iron to have pretty curls. You can just use your straightener. To execute perfectly this hair tip, simply separate your hair into several strands and twist each strand before compressing it between the two plates of the straightening iron. This technique will make your curls soft, blurry and just enough wavy to give volume and texture to your hair. If you want to keep your curls longer, spray them with hairspray or dry shampoo and wrinkle them with your fingers. To obtain more discreet curls, opt for the same hair tip, but this time consider braiding before moving on to the “smoothing iron” step. Only use this tip if you are sure to wash your hair the same day. To camouflage your grey hair, simply remember to use your mascara tube. The ultra-covering texture of this product will sheath the hair and it will become just as brown as the rest of your hair. To obtain more discreet curls, opt for the same trick, but this time consider braiding before moving on to the “smoothing iron” step. 2. White hair? Major Faux-Pas! If you have blond or red hair, use cream eye shadows to get the most natural result possible. 3. Make them Shine with a thousand lights! Use lemon water as rinsing water. It’s simple, economical and extremely good for your hair. Indeed, lemon will give your hair fiber all its benefits and give it the shine and strength it needs. While your hair has just been freshly washed and is still slightly damp, brush it gently so that it becomes as smooth as possible. Once you have done this, take a fairly long elastic band and wrap it firmly around your hair. Do not leave any gaps. Leave your hair compressed like this overnight. The next day, when you undo everything, you will notice that your strands are very smooth. All you have to do is coat the lengths with a nourishing oil to make them shiny. This technique of smoothing without heat is called Kardoune. You haven’t bought a bun yet? Don’t do it, keep your money and make your own accessory using an old orphaned sock. First, cut off the closed end of the sock and then start wrapping the fabric around itself to form a kind of ring. All you have to do now is put a few stitches to hold it all together and voilà, your bun is ready! Always put tissues and talc powder in your bag to refresh your hair roots in just a few minutes. This tip is very useful when you don’t have time to wash your hair and dry it before going to an appointment. To hide the damage, make a parting, take a piece of absorbent paper, sprinkle it with talcum powder before pressing it firmly against your scalp. Wait a few seconds for it to take effect before moving on to another parting. This solution is, of course, temporary and will only delay your stay in the shower for a few hours. Gather your hair into a ponytail using an elastic band. Once you have done this, take some pins and slide one under the tail (on the left side) by putting a branch under the elastic band and the second one in your hair. Do the same thing again by sliding the pin on the right side this time. Let the ponytail fall back, isn’t it pretty and all dashing?